Sports - The Muskegon Channel | We Have A New Story to Tell! Have you heard the news? 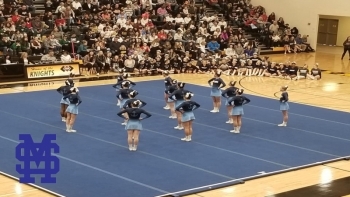 The Mona Shores Varsity competitive cheer-leading team is going to the State Championships. I headed over to their side of town to talk with head coach Amanda about this year's team and how she has built the program to get to this point. Team 19 as they like to call themselves has a number of wins under their belt, some of the more recent one being District division 2 champs as well as the winners of the GMAA (Greater Muskegon Athletic Association) Competition. Although that were not able to pull out a win at districts, they did get second and that was good enough to get them a seat at the state finals. I had the pleasure of talking with a 4-year senior Olivia about her role she plays on the team on how Competitive Cheer has helped her become a stronger and more confident young lady. When asked her how the cheer-leading team has helped her grow as a person this is what she said, “I have defiantly learned a lot especially from my coaches they have shaped me into the person that I am today along with all of my teammates, it’s just been really life changing to me. We're unique into ourselves in Muskegon. We have our own rich history in so many ways. From names like Hackley and Hume, to LC Walker and Shaw....who we are and where we came from isn't defined by anything other than the names of the founders of this community and they are written all over town as they should be. We are also very fortunate in the fact that anywhere in the state of Michigan, when a sports team hears that they are playing a team from Muskegon, there is a moment of pause given because the reputation of our athletes and the teams that are built here are nothing to be toyed with. Organized in 1986 the Muskegon Area Sports Hall of Fame has all of their collection on display at the LC Walker Arena. There are parts of it for the moment that are not readily seen due to the renovations at the arena, but over 100 sports notables have been inducted over the last 30 years and the tradition continues. This year they are narrowing down the candidates and will be announcing the inductees soon. Philanthropy has been a big part of the Muskegon Area Sports Hall of Fame as well giving back in excess of over $100,000 to area schools. They have a fun event coming up over the holiday break. It's going to be held December 27th at Reeths-Puffer HS. It's the Hall of Fame Basketball Classic. It's a $5 donation at the door to get in to see an entire day of basketball action. For that $5 bucks you can see basketball all day! You'll see teams from Shores, Puffer and Muskegon and coming in to take them on will be G.R. Christian, Holland West Ottawa and East Kentwood. Huge games and huge purpose, to help the HOF and the work they do for today's athletes. Mike Mack is the President of the HOF and we sat down to talk about the organization and the game coming up. Take a listen. Circles back to what we're all about. Muskegon is rich with our own history, but more importantly, our own future. We look back with pride on the athletes we've had and we help foster those who are competing today. After all, those competing today are our future and who knows..someday, it might be them going up on the wall in the arena. If you'd like to know more about the Muskegon Area Sports Hall of Fame, click on their logo below and visit their website and save the date for the basketball calssic on December 27th. We have come back to our "home" of Muskegon and we are euphoric to be back after being away for the past eight years. As many of you know, we left our all-time favorite megalopolis in July of 2010 when 50-years of legendary professional hockey came to a close and the junior team was ushered-in to our wonderful community. Our first preference was to stay. However, we just could not make that happen. Both sides made a business decision with the result being a move for us to Evansville, Indiana where we continued our hockey radio play-by-play broadcast career behind the "mic" for the CHL/ECHL Evansville IceMen as well as the NA3HL Evansville Thunderbolts. We had the good fortune of broadcasting hockey game #3,500 during our six years in Evansville before we found our way to Indianapolis as the TV/Radio "Voice" of the ECHL Indy Fuel. In our second and last year and our final broadcast with the Indianapolis pro club, we hit the 3,700th game hockey broadcast mark. After our time in Indiana, we decided that it might be time to come back "home" and become a part of this extraordinary community, again. As for me, I am looking to continue my hockey play-by-play broadcast career. At this time, patience must be practiced as many times in our great game and business, timing can mean everything! Hopefully, in my case, it will just be a matter of time. In the meantime, my good friend, Andy O'Riley has been kind enough to offer me the opportunity to become a part of his new and innovative media enterprise called MUSKEGON CHANNEL. I am very appreciative of "Andy O" for this opportunity and look forward to doing some new, fresh and creative sports stories, especially hockey. 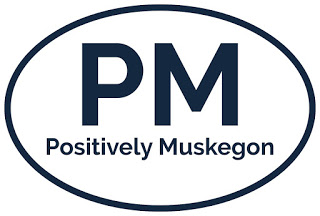 I am very excited to have been presented this opportunity as it connects me, once again, with the great city of Muskegon; and in particularly, all of the people and the fans who I have missed so much. It is this bond that has inspired us to return "home." I know that you will find this quite hard to believe, but words can never fully express how thankful and grateful I am of this community and the proud Muskegon people who live here. We are so glad to be with you and to be a part of you, again. My first venture at The Muskegon Channel is to help out talking hockey with some of the areas top highschool hockey programs. 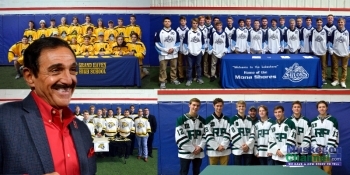 Paul Tiefenthal organized a press confrence on Tuesday November 13th at Lakeshore Sports Centre to meet the teams and coaches of our area teams and I spent a few minutes talking with each coach learning about their programs and players. Here are the interviews. In closing, as it always was before we left, I will always be out and about around our terrific town visiting all of my old friends from the media, business community, and most of all the great hockey fans as well as looking forward to making new friends and just talking hockey with you. When you happen to see me, please stop by and say "hi" as all of you will always be the favorite part of my job and living here in Muskegon. See you around town!! 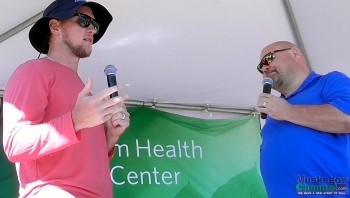 It was an interview we caught a little earlier this Summer at Stand Up for the Cure in Muskegon, but as the beginnings of the Fall season start and there's a familiar chill in the air, people start thinking a little more about hockey. We've been known for some pretty amazing local hockey players. Former pros who have stuck around town, younger players who have gone on to bigger things....some former coaches who are now top brass for their NHL teams, but none stand out more at the moment than Justin Abdelkader of the Detroit Red Wings. Justin played in the USHL for Cedar Rapids, went on to Michigan State, The Grand Rapids Griffins and then got the call to be a Red Wing. What Michigan hockey kid doesn't dream of that? He's given us all something to be very proud of and represents himself and his community well all over the world. Justin was home for a while this Summer and made a surprise guest appearance to help raise a few bucks against breast cancer at Stand Up for the Cure and since Andy O was the emcee, we grabbed some footage of the chat and learned a little about the off season, his career and how the USHL help shape him to be the player he is today. Take a listen. Our thanks to Justin for taking a few minutes to talk hockey in his "off season" and of course, our thanks too to Justin for coming home to support such an important cause. He's a great young man and as hockey season approaches...remember the work and dedication it takes to get the the level he did and how we've got that same drive and determination happening right here at the LC Walker Arena from October-April. The future of the NHL is happening right here and now in Muskegon! Be there for it! You can learn more about the Lumberjacks by visiting their website below. Today, the Muskegon Clippers once again call it home although today's Clippers are collegiate level players who are looking to hone their skills and develop in their "off season" while school isn't in session. Much like the Muskegon Lumberjacks, the Clippers team players are billeted to area families while they are here to play. They get a roof over their head and they commit to making sure that while they are here they get to develop, train, stay healthy and hopefully one day work their way up to the big leagues. It's a long road...it's a lifetime of dedication and development that not many can make, but to know that Muskegon plays a role in their future really resonates. After all, Muskegon is known for building great things. Why shouldn't we be building the future generation of athletes in any sport? A Clippers game is a GREAT family night out. Season tickets are only $80 bucks. Single game tickets start at only $5 and there will be lots of added amenities this season for fans. Concessions are kept affordable, there are tailgate opportunities, beverages are cold hot dogs are hot and one of the best parts of the game is that the intimacy you'll feel with the players and staff won't be found anywhere else. You are literally within talking distance to the players. It's a remarkably up close and personal feel. 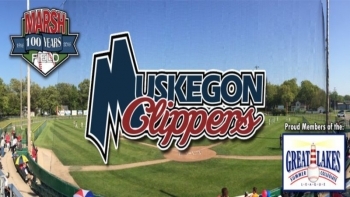 The home opener of the Muskegon Clippers season is happening at Marsh Field on June 8th. It's this Friday night and they are expecting a great crowd for opening night, so if you're planning on going, get there early and get your spot in the seats. There is also some added lawn seating this year so it might not hurt you to have a lawn chair in the car with ya if you'd like to go that route. Game time is 7:05p Friday night. I caught up with Pitching Coach and General Manager Steve Cutter to talk a little about the team and the upcoming season at Marsh Field. Take a listen to our chat to hear more. We're proud to support the Muskegon Clippers and we're even more proud to know they support us. When you're at the game, keep an eye out for the big Muskegon Channel banner hanging out there in the outfield. This is something we have to be proud of in Muskegon and rally around. Make sure you head to Marsh Field to catch a game or two this Summer. Enjoy the history. Enjoy the community and maybe catch a future All Star playing right here in Muskegon and you can say you saw them when. For more on the Muskegon Clippers. Click on their photo below to visit the team website! The USHL is the top tier of developmental hockey in the United States. The league is the proving ground for a future where athletes will take the next step on to the Division 1 NCAA competition or spring board directly into the National Hockey League. If you have watched over the last couple of years, players have come in from all over the planet to play in Muskegon. Russia, Sweden, Finland, Czechoslovakia. All parts of the USA and Canada too. 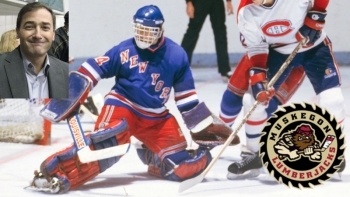 What we have now is truly a global destination for players to develop and the direction of John Vanbiesbrouck is a big part of their choice to come to Muskegon in the dead of winter to learn, grow and develop as players. Well, the hockey family suffered a loss of Jim Johannson in January of 2018. It was just before the Olympics and Jim was the General Manager of the US Team. It was a shock to the entire hockey community and felt across all levels of the sport. Certainly not easy shoes to fill, but with the skills and desire to help form the next generations of hockey players inside John and his passion about the sport and athletes competing in it...I think it's pretty safe to assume he was on the short list to take the next step to head up a level and begin to represent the entire country for the hockey program we have. John took the job with USA Hockey and his time in Muskegon is up. John is a great leader and mentor. He also brought in none of the ego you might expect with a Hall of Fame goalie. His approach to work and Muskegon has been just what we're used to. Be proud of the team, the town and the objective. Hold your head high and don't let anyone take away what's being done at the LC Walker Arena because it's truly where the future of hockey is being written. He's brought in first round draft picks and he's challenged some of the players to fight through some of the hardest things they could possibly imagine. Thousands of miles from home, language barriers, being away from friends and relatives at a young age...he's got players climbing Mt. Everest before they are 22 so they can live the dream he did in the NHL. I sat down to talk with John before he left. Take a listen and hear what's next for "Beezer"
We'll miss him for sure at the rink, but the opportunity is so big. On a players level, we're starting to see former Lumberjacks make their NHL debuts. It's a progressive league focused on being a spring board to greater things for everyone involved including our very own Hockey Hall of Fame GM. I don't foresee John being a stranger, but it sure will be fun to watch and see what he builds for the Olympics and to see his signature continue to be put on the lives of the players and the sport for years to come. Our very best wishes to John and thanks for taking a few minutes to talk about your time in Muskegon. To visit the Muskegon Lumberjacks site, click on the image below. Muskegon is a proud hockey town. We have a rich history in the sport and we've built generations of players right here in town. 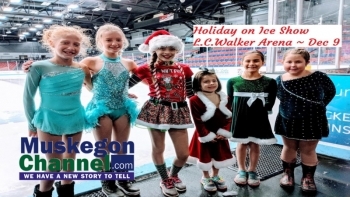 Our pee wee leagues are bursting at the seams, the high school programs are thriving and at the LC Walker Arena the next generation of NCAA and NHL players are being built in the top tier developmental league in the world...the USHL. We have young players, and their families coming from all over the world to perfect their skills for their shot at the big time. Hockey is a physical and tough sport. The strength and stamina it takes to play is tough for anyone. Now, imagine wanting to play hockey, but...you don't have the use of your legs. To the players on the Grand Rapids Sled Wings...the answer is pretty simple. So what. They are going to play hockey anyway. That's the attitude to have. The Sled Wings are a two layered team. There is the youth group and the adult team. They compete all over the country and spread the word that hockey is for everyone. They are supported by Mary Free Bed Rehabilitation Hospital and the goal is simple. To give those with lower limb affected disabilities the chance to play, compete, be on a team, grow friendships, share in victory and learn from loss. They have also found a group who are sincerely out to win hockey games, and they don't mind one bit coming in to a hosting barn and showing the home team who's boss. Locally, Philipe Hernandez is like any other kid. Watched him grow up at the Jacks games coming with his grandfather Ralph Burr who was the Head Score keeper for the team for years. Philipe decided he wanted to play regardless of his chair and found the Sled Wings a few years ago and has been part of the team ever since. Coach Steve Kozlowski has been an elemental part of all if it as well, being with the team for years and seeing first hand how the sport and the team has effected the young people that play. We sat down to talk sled hockey and the upcoming game against the Jacks on Feb 25th. Take a listen. February 24th during intermission you'll get a quick chance to see some of the Sled Wings in action during the Muskegon Lumberjacks game then on the 25th The Muskegon Lumberjacks take on the Sled Wings in a game at the LC Walker Arena. It's a donation to get in, so if you head there to check out the game, consider a $10 spot to help the Sled Wings continue their love of hockey and their mission to spread the word that hockey....is for everyone. In Muskegon...with our rich hockey history....we know that to be true. Click on the photo below for more on the Sled Wings. Rewinding back to August 26th the Michigan Duck Hunters Association Lake Effect Chapter held their 5th Annual Youth Waterfowl Day. 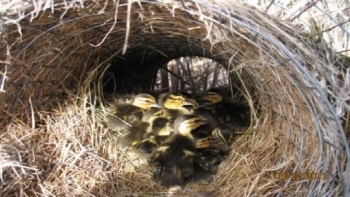 This event was held at the DNR headquarters at the Muskegon State Game Area off Maple Island road. This was a free event for all to attend. The Children that were involved were able to see dogs retrieve in real time, shoot guns at clay pigeons, learn about trapping and get their very own duck call that they used for a "call" competition. When you arrived all of the children received a raffle ticket and after lunch they started calling numbers out for some pretty awesome prizes. Among these prizes four lucky winners were called for a fully outfitted waterfowl hunt for the 2017 Youth Hunt. This all bring us back to today where Jeff and his son Tyler were guides to one of the winners. Meeting up at the boat launch before the sun even came up and taking a slightly cold boat ride to a previously scouted out spot Bailey was excited and ready to go. The morning started out slow but she hung in there. Bailey was able to shoot a couple rounds off at some lucky ducks that didn’t meet her metal. Even though she was unable to get a duck today she said that she had so much fun and cannot wait to go again. Thank you to the Michigan Duck Hunters Association Lake Effect Chapter and all of the sponsors and donors that worked so hard on the Youth Day and on the time that they put in scouting and getting ready for the youth hunt. 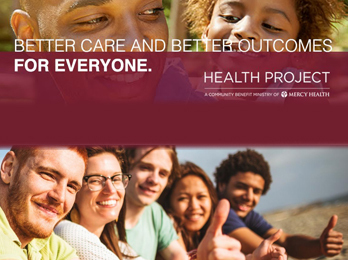 This is truly an organization and group that deserves your support. Back 40 Predators is back with Episode 9 on the Muskegon Channnel and this time it's a bear hunt in New Brunswick! Rory Rought is the host of the show, he's also part of Northern Michigan Outfitters who specialize in guided hunts like these in the UP of Michigan. All of that, and Rory also serves as a police officer in Muskegon Heights. It's an exciting adventure as they head out hunting for bears. Do keep in mind, this is a hunting show. They are hunting. Viewer discression s advised. On to the woods! Our thanks to Rory and the team from Northern Michigan Outfitters for the adventure. If you'd like to know more about their hunts, you can visit their facebook page for now. They are currently working on a new website and will have it up soon. 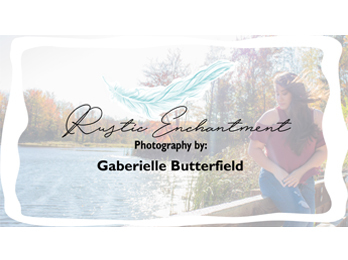 Find them on Facebook by clicking below! The Back 40 Predators are back at it and in Ohio for a turkey hunt! It seems that turkeys are plentiful everywhere and not only roaming the neighborhoods of Muskegon like it's the Zombie Apocalypse of birds. 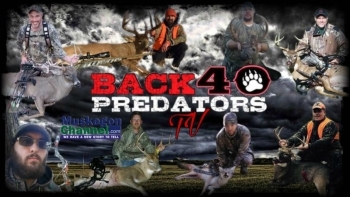 Back 40 Predators is a production of Northern Michigan Outfitters based in Muskegon. They offer hunting trips into the UP and are working on a new website soon! We're proud to help them spread the word about safe hunting, conservation of natural resources and fellowship among hunters. Let's go hunting in Ohio! Our thanks to the Back 40 Predators for sharing the show! I hear they are getting their first TV deal pretty soon, stay tuned for details on that too!! If you'd like to know more about one of their guided hunts.. click on their logo below to visit their Facebook page. The deer population continues to grow and it's not only MIchigan that is seeing issues with the population of the. This week, the Back 40 Predator guys head out to the East Coast once again to do a little population control with some problem deer. Back 40 Predators is produced by Northern MIchigan Outfitters. Rory Rought and his team travel the country to bring you this program and also provide you with some educational matters when it comes to conservation of wildlife and proper practices when it comes to hunting. We hope you enjoyed the show and we're thankful to Northern Michigan Outfitters for being part of The Muskegon Channel. If you'd like to know more about their guide service, you can click on their logo below to connect with their Facebook page. Back 40 Predators heads south to Texas to help with the over population of the Texas wild hogs. 3 Days, 56 hogs hit the dirt. Bacon everywhere! Back 40 Predators on The Muskegon Channel is a locally produced hunting show by the operators of Northern Michigan Outfitters. If you'd like to know more about the show or the guys who run in, please visit their Facebook page while their new website is being designed. Back 40 Predators heads down south to meet up with staff member Austin Humber to redeem themselves from eating last years tag soup. Karla Rought shoots her first buck ever and a couple of does take a dirt nap as well. 2017 will see some new improvements and fun features to accompany the actual run. Let's start off with a new location. Years gone by, everything kicked off and wrapped up down by the YMCA, that area has since been torn up and grass planted to make the lot a little more appealing for a potential buyer. So...where do we move it? RIGHT DOWNTOWN Muskegon thank you! It will all kick off with a free Healthy Lifestyle Expo at the LC Walker Arena June 23rd from 11a-7p. If you're running, pick up your packet and stroll through the exhibits. If you're not running, take advantage of a free expo that can show you a few things about building your health up! Why wouldn't you go to that? Race day, you can pick from The Seaway 5k walk or run, The Seaway 15k or the Lake Michigan Half Marathon! There will even be a nice community walk if you're not among the running crowd. After it's all said and done, you might want to grab a cold one in the beverage tent. We don't mind capping off any day in Muskegon with a beer, and after you burn all those calories and carbs....you could probably use one! I met up with Chris Burnaw and the brand spakin new race director Andrew Buikema at the start/finish line Downtown Muskegon to talk about the event, some of this years imporviements, what we can expect race weekend and what kind of impact an event of this magnitude has on Muskegon and our economy. Take a listen to our talk below! 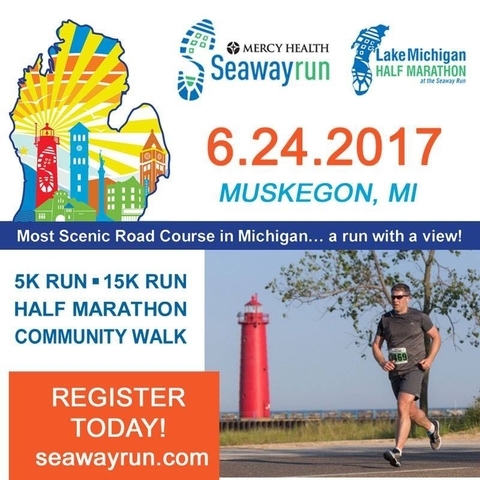 Thousands will be part of this awesome event and they are coming from near and far to enjoy a run, some beautiful scenery and the hospitality that only Muskegon can provide! Sound like something you'd like to be part of? There are opportunities to register to run or you can volunteer thru the link in the photo below! Muskegon is making giant strides and an event of this magnitude and endurance is yet another piece of the puzzle! If nothing else, head down and cheer on the runners!